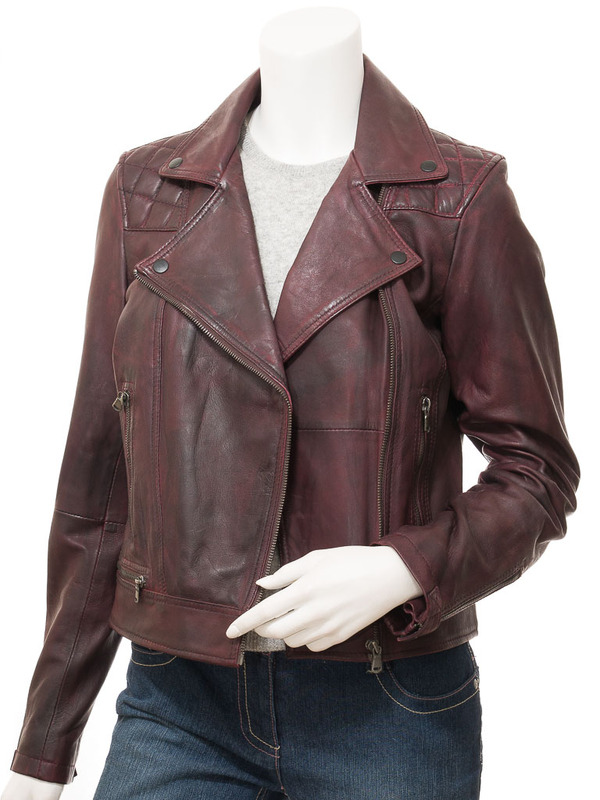 A beautiful burgundy leather biker jacket. 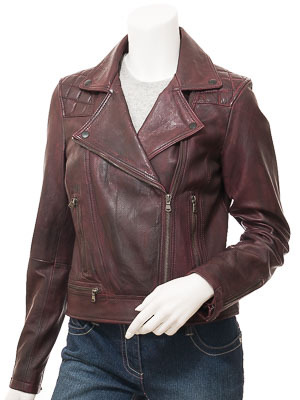 Crafted from super soft sheep aniline leather this jacket is in the classic "brando" style. An asymmetric YKK zip extends up over a double breasted front to a wide notched lapel collar. 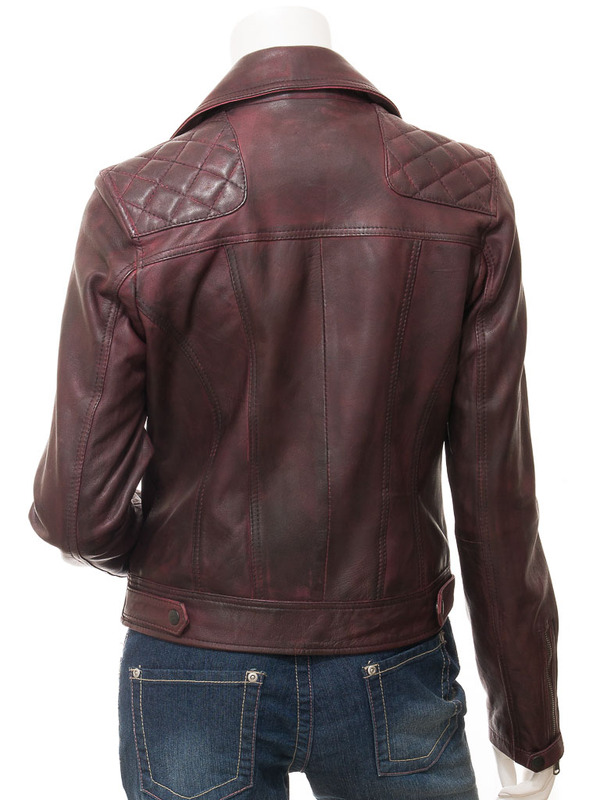 Press studs hold the lapels in place and there is a stylish diamond quilt pattern on the shoulder. 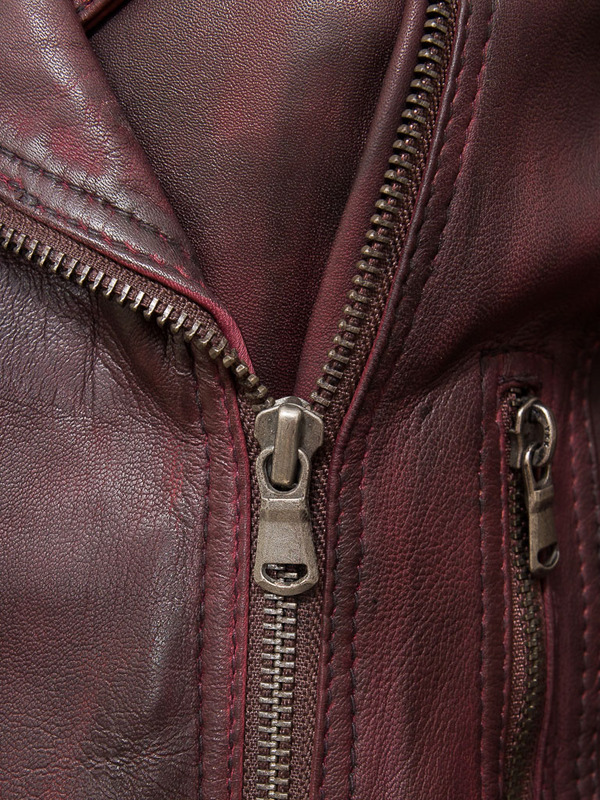 At the waist are two zipped pockets while the cuffs are zipped too. 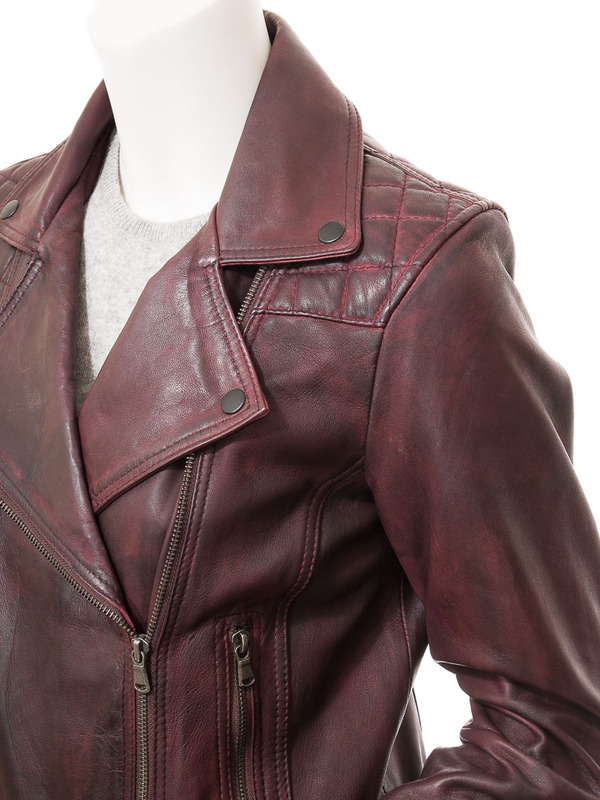 Take a look inside and you will find the jacket fully lined in satin.